Here at Kiwi Box, we have been helping businesses keep their goods cool and dry for over 14 years. During this time, one thing has become very apparent to us – our customers have very unique needs when it comes to refrigerated storage. We pride ourselves on our ability to customise containers that meet our customers’ requirements each and every time. We rely on direct communication with our customers to help us achieve this level of personalised service. When you select your refrigerated storage container, you need to think about upfront costs and running costs. Our experience has taught us that huge power savings can be had by choosing the correct refrigerated container for the job. We carry a range of refrigerated containers that can be modified in terms of kilowatt or horsepower to maintain the integrity of our customers’ products and ensure they aren’t paying unnecessarily high running costs. 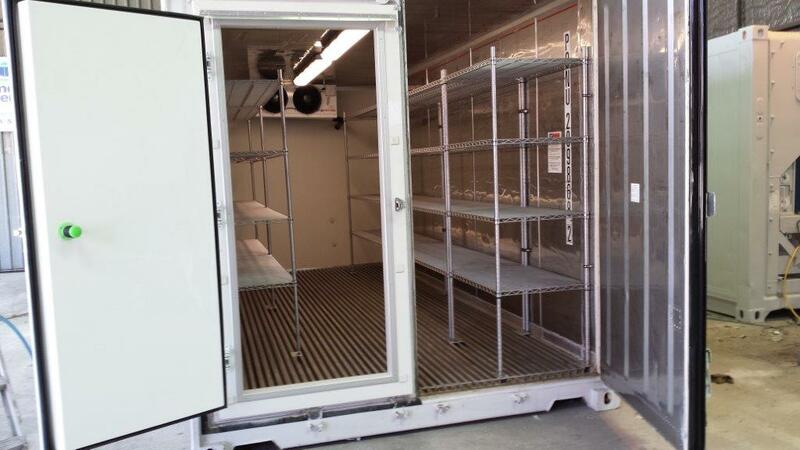 If you’re in the market for refrigerated storage unit, you should take some time to think about your requirements. Below are some of the questions we ask our customers before customising their refrigerated shipping containers. You may find it helpful to review these questions and think about your answers before talking to vendors or selecting a unit. 1. What temperature should be maintained in the unit? Different types of units and motors are more suited for colder temperature ranges. If you don’t need to maintain very cold temperatures, there is no reason to pay for a unit that is designed to do that. If you don’t have a temperature requirement, an insulated container may be sufficient for you needs. 2. Will the refrigerated container run at a constant temperature or be used in different modes? 3. Do you require a specific humidity level within the container? 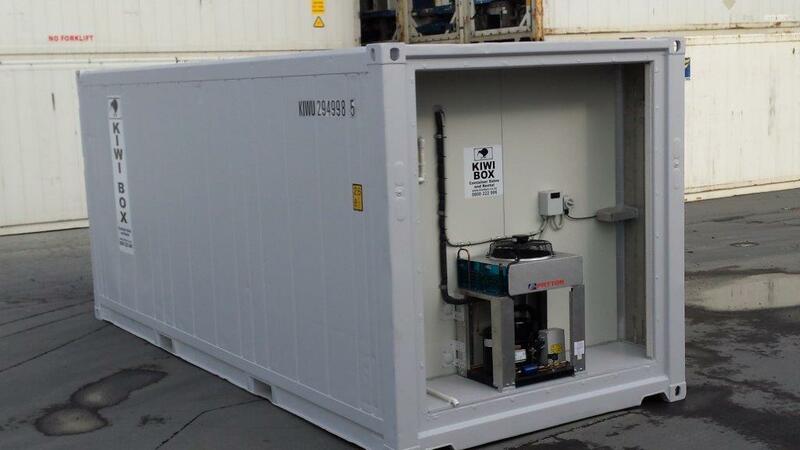 Containers can be customised to provide drying/dehumidifying functionality, if needed. 4. 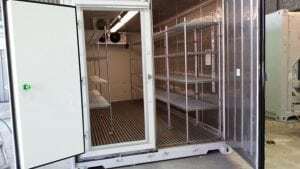 Do you need lighting and shelving inside the refrigerated container? We can customise the interior of our units to meet the specific requirements of our clients. If lighting and shelving are required, we can ensure these are in place upon delivery of the unit. 5. Do you have access to 3-phase power or only single-phase power? By running your refrigerated unit on a 3-phase power supply, you will save on the running costs if you need to freeze or chill large volumes of product. Single phase units are cheaper to run on chill mode and can be plugged into a normal 10-amp power supply. They can also be used to hold frozen product at -20 degrees if the product goes in frozen. 6. What volume of product will pass through the container in a 24-hour period? This question is important because it tells us how hard your motor will need to work to keep the goods cool. A larger volume of goods will require more energy to keep cool. In addition, if the doors are being opened several times throughout the day, then additional energy will be required to maintain a constant temperature. At Kiwi Box, we offer different kilowatt and horsepower ratings in our range of refrigerated containers, allowing us to tailor the unit for different loading applications. 7. How often will employees be entering the container during the day? Similar to the previous question, your answer helps us determine how much energy will be needed to keep the unit cool. For example, if the unit will be accessed frequently throughout the day, the motor will need to be more robust and more energy will be required to maintain the temperature. 8. Will you require a special door to provide easy access to staff throughout the day? If your team will be entering the container frequently, you should consider the inclusion of a special door to provide easier access to the container. This will help your team save time and make it easier for the unit to maintain its temperature. 9. Will the product already be chilled or frozen when it enters the container? Does it need to be chilled down or frozen from room temperature? These questions also help us determine how much energy will be needed to operate your refrigerated storage unit. 10. Does the product need to be blast frozen? Blast freezing is used to quickly freeze food products. This process allows for higher quality food preservation and minimises freezer damage. We can customise units to allow for blast freezing, if needed. If this is the first time you’re choosing a refrigerated storage unit, you may feel overwhelmed about all the different aspects that you need to consider. Don’t worry – we’re here to help! Just give us a call so we can discuss your needs and then suggest the perfect container for your business.